Sand Hills Golf and Country Club welcomes the opportunity to host your special event. The friendly and helpful staff are always willing to assist you in planning and adding just the right touch to make your event enjoyable, stress-free, and memorable. 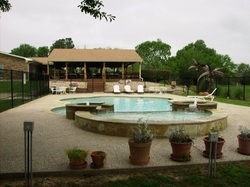 Members and non-members are invited to rent the facilities which include any or all of the two inside rooms, patio, and pool. The rental fee is based on the facility(s) requested, membership, or non-membership, and services required. All beverages must be purchased through the Sand Hills Golf & Country Club in order to meet the rules and guidelines established by the Texas Alcoholic Beverage Commission (TABC). 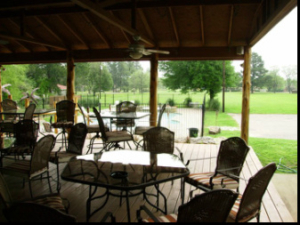 The outdoor patio with ample tables, chairs, and ceiling fans provides an excellent environment for fun both day and night. 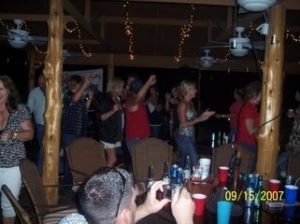 The outdoor patio area includes a grilling area a fire pit, and plenty of space for a dance floor! The swimming pool, with a shallow area for children, provides an excellent spot to cool off and lounge in the sun. 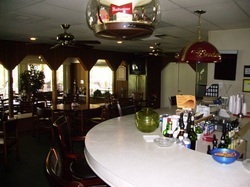 The bar area located inside the Sand Hills Golf and Country Club offers a friendly atmosphere to unwind after a long day of work or play! 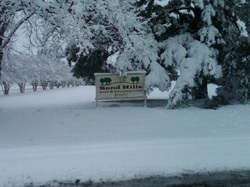 Sand Hills Golf and Country Club is even beautiful in the snow! We hope you will come and visit soon!